Complete the Missing Link Activator™ if you haven’t already. Complete the Discovery and Desire Questionnaire below and Click Submit. Then you will receive an email with scheduling instructions for your Revelation Call. This an opportunity for you to take a few moments for yourself to quiet your mind and create some clarity around where you are, where you want to be, and how committed you are to creating the reality you say you want. Make this a priority. If you can’t make the time to do this, you won’t make the time to do what you really need to do. Once you’re ready, find some quiet space where you feel comfortable enough to open up and let your thoughts flow. This exercise can take anywhere from 10 minutes to an hour. It’s up to you. The most important thing is that you really think about what you are feeling and what you want. The more you share, the more I am able to give back to you. This is a completely non-judgmental space where you are free from “should”. It really is about what you genuinely feel and want for yourself. And it is between you and me. Take advantage of the opportunity to let your thoughts flow and see what comes to you. It also gives me an opportunity to see how serious you are about your commitment to yourself and your dreams. I am here to help you gain some clarity about what you REALLY want and how important it REALLY is to you. If you’re willing to make a commitment to yourself and you’re dedicated to doing whatever it takes, then let’s talk and see if I am a good fit to help you through that journey. If I’m not, I’ll do whatever I can to help you find a better fit. 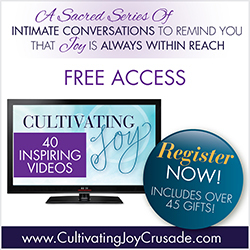 This session is so powerful you will be amazed at what you will learn! Once you see your Missing Link Activator™ and learn how it’s affecting your business you will be amazed! I could tell you your whole life story by reading your Missing Link Activator™, but since we have about an hour, I’ll need the answers you provide on the Discovery Questionnaire to keep us focused. Once you have completed the forms you will be redirected to my online calendar to schedule your session. My schedule is filling up pretty quickly, so don’t wait too long! 2. When you compare your vision with your reality, what’s different/missing from your life/business right now? What do you wish was different/better/easier/more joyful? 3. What actions have you been unable to take? What’s been on your “to do” list for much longer than you wanted it to be? 4. What do you usually do when you’re at a place where you want to take action but you just can’t? 5. What do you feel is blocking your path/in your way/keeping you from making your BIG vision a reality? 6. How does that make you feel? 7. How do you WANT TO FEEL? 8 What has attracted you to contacting me? 9. What discoveries have you made by answering these questions?